Apple has finally launched its iTunes Match subscription service in the United States, two weeks after missing the end of October deadline it had set. 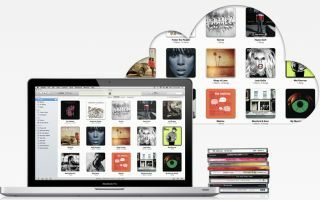 iTunes Match, which looks no closer to a UK launch in the near future, will scan your entire music library and replace all tracks with high-quality tracks from iTunes, which can be streamed from the cloud. The service works for iPhone, iPod touch, iPad, Apple TV, Mac and PC devices, which means you can either stream or download your tunes wherever you are without having to manually sync to iTunes. Apple is charging $24.99 (about £15) a year for the privilege of putting your entire collection on tap and with 256-Kbps AAC DRM-free offerings, it negates the need to tolerate low-quality MP3s ever again. It also legitimises your entire music collection, meaning those tracks you may or may not have possibly downloaded through dubious means are currently on the right side of the law. If iTunes cannot find the track in its library (and with 20m songs available on iTunes that's probably unlikely) it'll simply upload the track itself. Apple's unique subscription offering is way cheaper than Spotify's Premium offering, but means you actually have to own the music. Google Music, on the other hand, remains free while in Beta, but users of that service have been massively frustrated by the decades it takes to upload your music collection. iTunes Match by-passes that problem. The much-anticipated UK launch of iTunes Match remains on hold as Apple seeks to thrash out deals with the major labels and publishers.